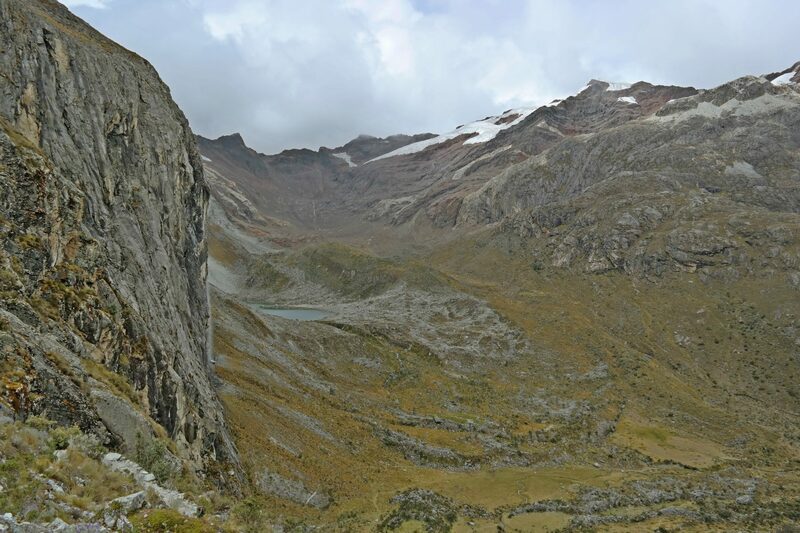 Off the beaten Gringo Trail lies Huaraz. 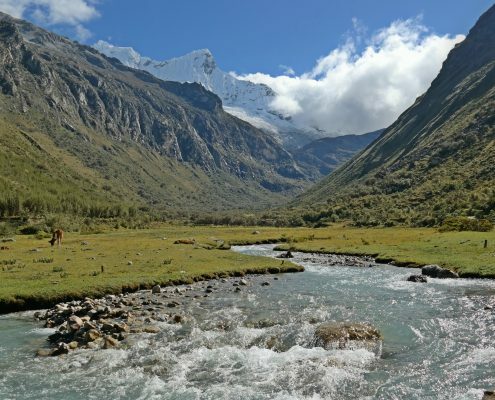 The trekking metropolis is flanked by one of the most impressive mountain ranges of the world: the Cordilleras. 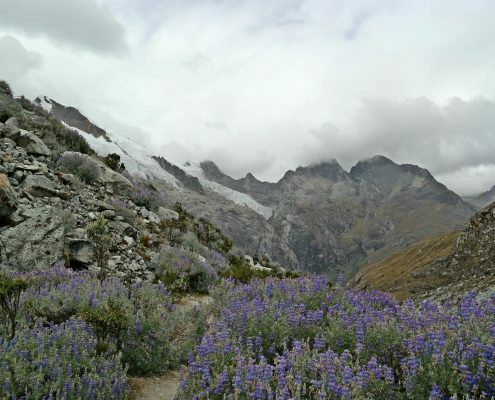 At the West of Huaraz is the brown Cordillera Negra, at the East the more popular snow-capped Cordillera Blanca. 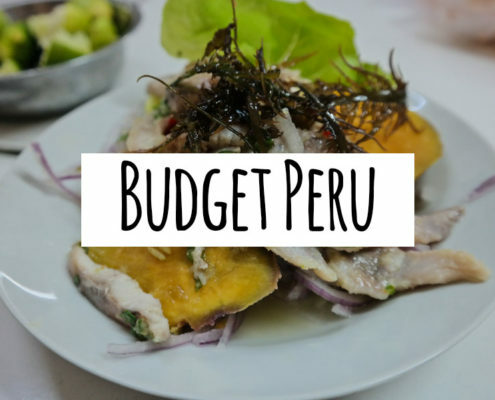 18 summits of more than 6.000m make every adventurer’s heart skip a beat. 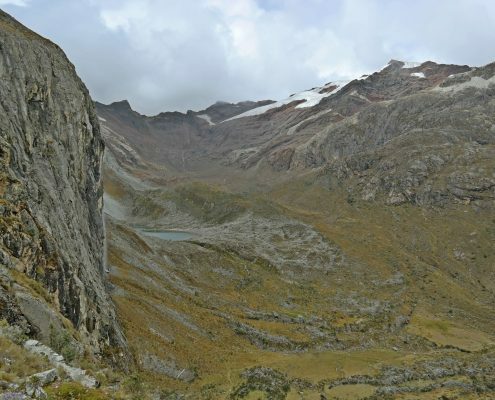 The Cordilleras offer plenty multi-day hikes such as the Santa Cruz Trek, but our personal favorite is a day hike: Laguna 69. 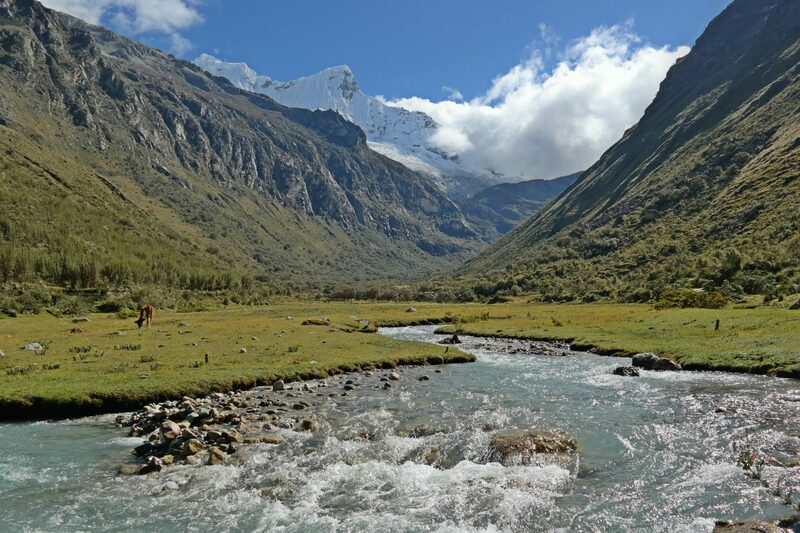 On our way to the start of the trek, we passed the beautiful Llanganuco Lakes. We couldn’t believe the view could be any better, but it did. 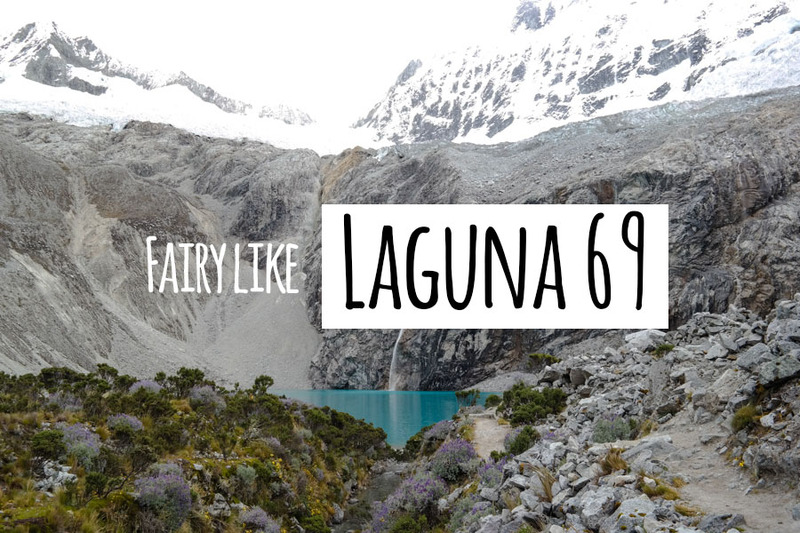 The path towards Laguna 69 lead us through lush green valleys, rippling streams and waterfalls. 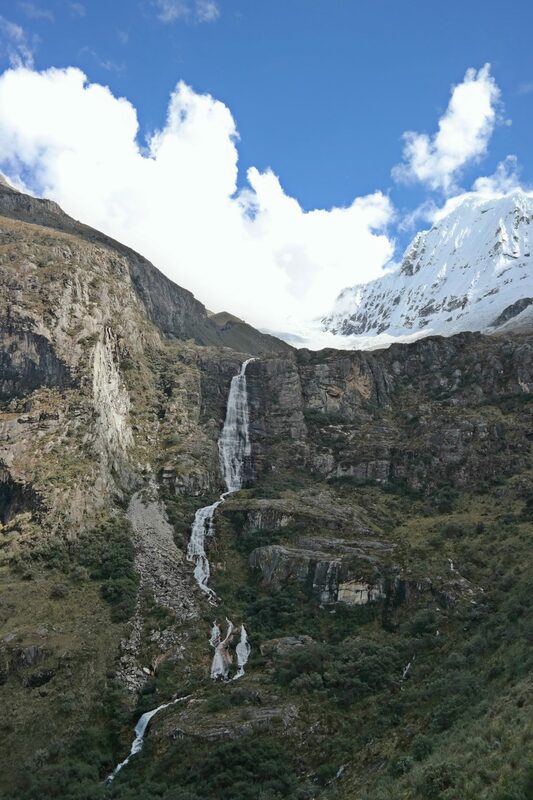 The view was dotted with glaciers and snowy mountains, of which one Huascarán, the highest tropical mountain of Peru (6.768m). Just when I thought we should arrive any minute, I spotted the upwards zig-zagging path towards Laguna 69. 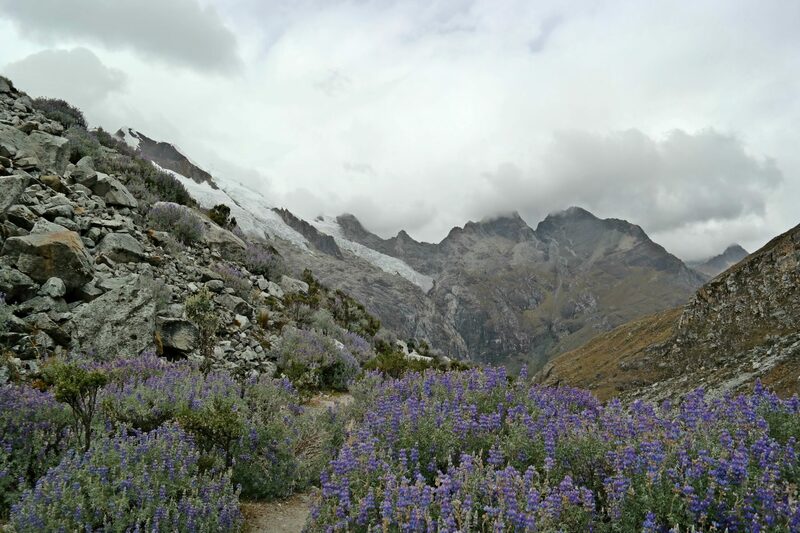 Even the most experienced hikers suffer from the lack of oxygen at that altitude (4.600m), and so did I. 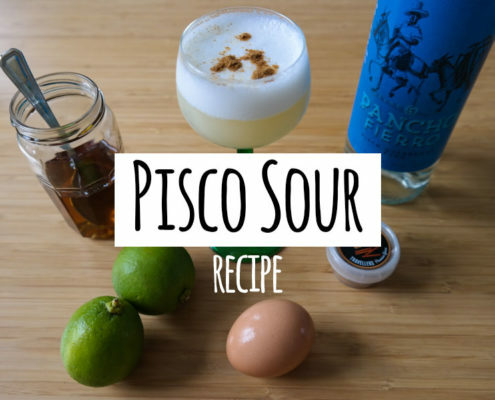 For a second I considered giving up, but I clenched my teeth and continued the demanding ascent (for Lucas it was all easy peasy lemon squeezy as usual). 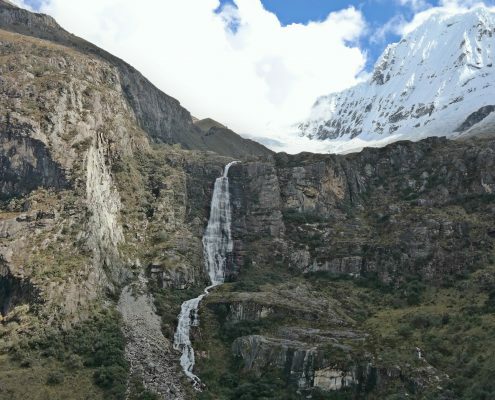 Suddenly, the view of Laguna 69 enfolded right in front of us: via a waterfall the turquoise water flows from the glacier into the lake. 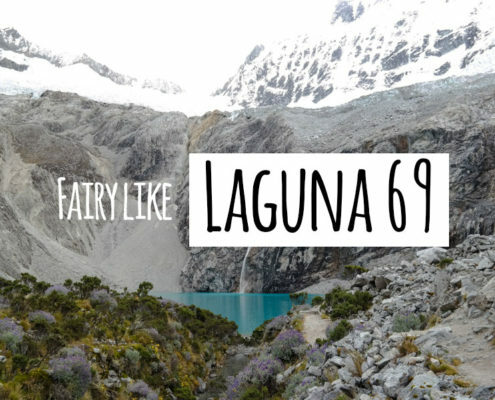 Our jaw dropped in awe at the fairy like sight of Laguna 69; what a gem.